Newly Renovated 3 Bedroom/2 Bath Ranch in Award Winning Rockwood Schools. Beautiful curb appeal, newly landscaped. 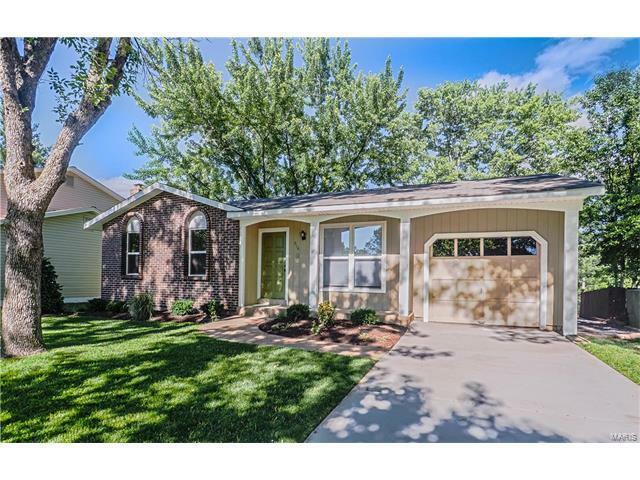 This lovely home has so much to offer with gleaming hardwood floors through out. It's all been freshly painted. Updated kitchen with stainless steel appliances, new counters and leads to the spacious deck overlooking the private level yard. Updated bath with pedestal sink. New 6 panel doors. Some newer windows. The finished walk out lower level adds even more living space with a huge family room and rec area, possible 4th bedroom, new laminate flooring, updated full bath and sliding door leads to the level yard. There's nothing left to do but move in and enjoy all this lovely home has to offer. Conveniently located near highways 30, 44 & 141 with shopping, restaurants, parks, & wonderful schools.